We’re all familiar with the itch that follows a mosquito bite. And it’s always so hard to resist the temptation and not scratch that bite. Scratching a mosquito bite temporarily relieves the itch, but the minute you stop, the itchier it becomes. Scratching also increases the chances of a puncture-like mosquito bite becoming infected. But why exactly do mosquito bites itch? And are there any tips that can make them less itchy? Once again, you’re in luck! This blog deals specifically with the question of why mosquito bites itch, and also gives 11 tips which will help you to stop scratching them. The reason why mosquito bites become so itchy isn’t a great mystery. We know – or rather scientists have worked out – what it is that causes the tiny puncture wound of a mosquito stylet to cause so much long-term frustration. Our reaction to a mosquito bite is much less to do with a specific toxin or chemical a mosquito might inject than with our own body’s protective system when it comes to foreign substances. In other words, an itch is showing us that our body has detected a possible harmful intruder. If you don’t itch after being bitten, there can be something wrong with your immune system. Why Is A Mosquito Bite Itchy? When bitten by a mosquito the human body recognizes the mosquito saliva as foreign. Chemicals in the tissues surrounding the bite, otherwise known as histamines, are released, increasing immunity in this area. Histamines are also pruritogens. Pruritogens cause the itchy sensation which follows a mosquito bite. It’s primarily due to histamine that we get that itchy feeling after a mosquito bite. Mosquito saliva doesn’t actually contain an itch-inducing chemical. The famous mosquito bite itch is the result of our brain’s response to histamine, and not a result of a special mosquito toxin. When we are bitten, our bodies respond quite quickly. Even though a mosquito also injects a little local anesthetic into the wound with its stylet, our bodies aren’t fooled. The minute that stylet enters the tissue of our skin, our bodies know all about it. Our body’s first reaction is to assume the mosquito saliva is harmful. It’s safer that way. As nearly everything in the human and insect body is composed of protein molecules, the body has become very clever at recognizing what belongs and what doesn’t. The proteins found in mosquito saliva are most definitely foreign, and the histamine reaction begins. Histamine causes a number of immediate effects, and the ones we can actually feel happen is due to widening of the blood vessels close to the bite. The bite gets warm and begins to swell. Fluids escape from the single-cell layer of the capillaries, bringing with them clotting agents and white blood cells. White blood cells start to wrap around and digest the mosquito proteins. Histamine is also the reason why we feel sensations of itchiness and pain. When it is released close to the site of the bite, nerve endings in the skin detect this. They send messages to the spinal cord, telling it that histamine has been released due to a foreign substance. From the spinal cord, these signals reach the brain where they are translated into an itchy sensation. Scratching is a reflex action to an itch, and therefore very hard to control. It’s actually known as the itch-scratch reflex and has been extensively studied, although mainly in cats and dogs. There’s also a difference between an acute itch and a chronic itch. A chronic itch has very little to do with histamine, but the acute itch, caused by things like mosquito bites, is regulated through histamine release. Do Mosquito Bites Always Itch? For the majority of people, mosquito bites always itch due to histamine release. As a pruritogen, histamine stimulates itch and pain receptors within the spinal cord. A signal is sent to the brain where it is translated into an itchy sensation. Mosquito bites always itch where there is a normal histamine reaction. Unless someone is affected by a disorder where they are unable to feel pain (and itching) such as in ‘congenital insensitivity to pain’ or CIP, or unless a person has extremely insensitive areas of skin such as in diabetic neuropathy, every mosquito bite always causes itching. Acute histamine release, caused by the body’s recognition of a foreign body such as a mosquito stylet, sets in motion the itch-scratch reflex. This reflex depends on receptors in the nervous system which react to pain and itching sensations. As these receptors are co-dependent, those who can’t feel acute pain also don’t feel an acute (or histaminergic) itch. Paralysis, extremely bad circulation, and damaged or low-functioning nerve endings can also cause an itchy sensation to be dulled or even absent. Faults in histamine receptors can also mean someone doesn’t feel an itch caused by an insect bite. Faulty receptors are very much involved in the pathology of CIP patients, although this is an extremely rare disorder. Why Mosquito Bites Itch More At Night? The more mosquito bites you have, the more you itch. As many female mosquitoes take advantage of night hours to feed, this often leads to increased itching at night. More mosquito bites lead to an increased histamine release. Histamine is a pruritogen responsible for initiating the itch-scratch reflex. So it’s not that mosquito bites itch more at night, it’s that we’re more likely to experience multiple bites when in bed. Especially if we aren’t covered by a mosquito net. The bedroom also tends to have higher amounts of carbon dioxide as the night goes on, released via our lungs. As carbon dioxide is the most efficient mosquito attractant, female mosquitoes will make their way to the bedroom. So more bites. If one bite releases a few granules of histamine, ten bites will release ten times that many. So it goes without saying that throughout the night the itchy sensation will increase. If you’re not the type of person who falls into a deep sleep the moment your head hits the pillow, you’re going to be kept awake by that itch. Another reason it might seem that we itch more at night when bitten by one or more mosquitoes is because we have fewer distractions going on. The itch-scratch reflex is controlled by the brain. If our brain is busy dealing with other things it has less time and energy to spend telling us to scratch. Once in bed, not many of us need to concentrate on work, household tasks, a good TV show, or other people. So that itch once again raises its ugly head. Histamine release caused by a mosquito bite isn’t a one-off phenomenon. As long as there are foreign proteins in our bodies, our bodies will carry on releasing histamine. What’s more, there are chemicals in mosquito saliva that slow down the response of white blood cells. This effect can last up to seven days. This is why it takes ages for a mosquito bite (and the itch) to go away. It’s because of these chemicals that illnesses such as malaria, dengue and West Nile Virus are so widespread and difficult to control. However, the chemicals in mosquito saliva only work on our immune response, and not on the process of histamine release. Histamine is released after a single bite, causing us to itch. But a slower reaction by the body to remove the foreign proteins in mosquito saliva means these foreign substances remain in our bodies for longer. That means more histamine is produced, at least until the proteins have been removed. So that horrible itching sensation lasts for longer. And when we are lying, unprotected, in our beds at night, breathing out lots of carbon dioxide and at just the right temperature, we attract a lot of female mosquitoes. The combination of multiple bites and mosquito saliva means an itch that lasts for days … and nights. From electronic devices to natural remedies, there’s certainly a lot to choose from when it comes to bite relief. Scratching opens up tiny wounds in our skin, offering a wide open door for bacteria and infection. Any gunk on our fingertips gets in contact with deeper layers of skin and causes a histamine reaction of its own. That’s double the itch, and lots of germs. Just type in ‘infected mosquito bites’ in any search engine and you’ll see the results. So apart from wearing fingerless mittens (it works for chicken pox), how do you scratch your bites less frequently? 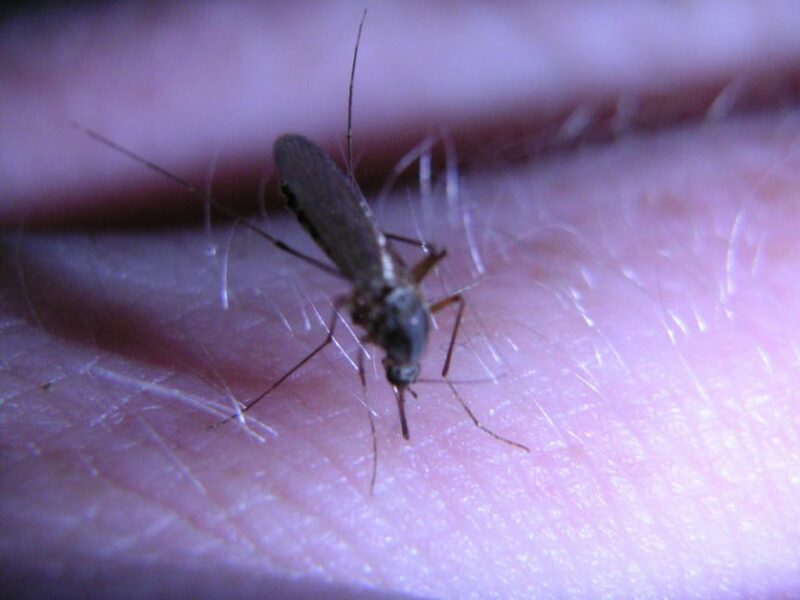 There are three different methods when it comes to reducing the urge to scratch a mosquito bite. Soothe the area of the bite itself. Distract the brain from the itch sensation. Use chemicals which stop the histamine reaction. Cold: Soothes the area of the bite. When you place an ice-pack onto a mosquito bite, you stop the capillaries from dilating. As one of histamine’s effects is dilation of the blood vessels close to the bite, this will slow down the histamine reaction. However, unless you keep that part of the body cold, it’s a temporary measure. Cold skin is less sensitive, too. So the itch will be kept to a minimum as long as the area of skin stays cold. Using cold is a great idea when you can’t get your hands on or prefer not to use other devices, pills or remedies. Heat: Stops the histamine reaction. Using heat pens to zap a bite has been proved to be effective. Some people prefer a hot spoon, although the risk of burning yourself is higher. The theory is that extreme heat coagulates the foreign proteins in the mosquito saliva. You only need a little heat to whip up an egg-white omelet, and the concentrated heat of a heat pen won’t have much problem with clumping up mosquito proteins. Not enough heat is administered to cause a burn to the skin, but the trick is to use the pen as quickly as possible. 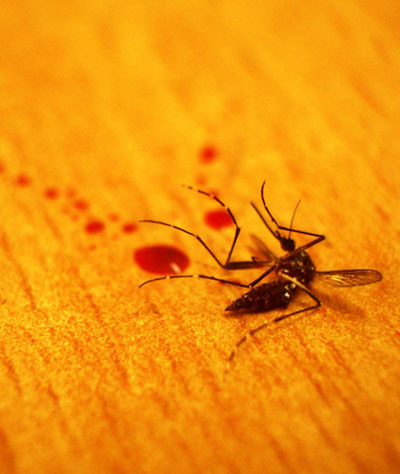 Once the mosquito proteins have spread further into the tissue or blood stream, the heat from the pen won’t reach them. By killing off the foreign proteins early on, there’s less need for the body to produce histamine. That means fewer itches. There are many different insect bite heat pens on the market. You’ll find recommended heat pens on my product page. One thing I should add is that your body can actually become less sensitive to antihistamines the more you use them. So it is recommended to use them for a maximum of three times a day and not for more than three days at a time. Distraction: Distract the brain from the itch sensation. Many people swear by pinging an elastic band on the wrist when an itch starts to get too irritating. The theory behind this is that the pain from snapping an elastic band on the wrist distracts us from the itchy sensation. And there’s a lot of truth in this. If you remember, we talked about the itch and pain sensations being linked to each other. So when you add acute pain to an acute itch, as long as the acute pain is strong enough, the brain will deal with the pain first. Of course, the downside is that you are only substituting one unpleasant situation for another. And once the pain has subsided, and if the histamine response is still active, the itch will come back. Hydrocortisone cream: Soothes the area of the bite. Cortisone reduces the symptoms of inflammation, so the histamine response is slowed. Studies are not conclusive about whether applying a 1% hydrocortisone cream to a bite reduces itching, but reviews seem to say otherwise. An over-the-counter cream will provide relief, but not as much as an antihistamine. This makes sense, because you are not blocking histamine signals but just soothing the bite area. So those foreign proteins are still in your system. Applying a hydrocortisone cream means you will have less of an itch for a few hours while your body digests and removes mosquito saliva proteins. Never use a hydrocortisone cream on broken skin. It will then be more likely to work its way into the blood stream and won’t have much of an effect on the bite site. So if you’ve been scratching like the devil, use another method. You should also avoid using hydrocortisone cream on your face. Ammonia: Soothes the area of the bite. Products such as After Bite contain ammonia, which has been proved in some cases to help alleviate itches caused by bites and stings. First used to treat jellyfish stings, ammonia seems to have a huge effect on relieving mosquito bite itch in some people, but has less of an effect for others. That’s why these products always seem to get very mixed reviews. If you’re one of those who ammonia does help, this is a great way to reduce that itchy sensation. Available in tubes or as small, roll-on pens which easily fit into your pocket. Calamine lotion or zinc oxide cream: Soothes the area of the bite. Calamine lotion lasts for up to about six hours after applying it directly to the skin. It contains a mild local anesthetic and has antipruritic properties, meaning you have less of an itch. Because zinc oxide (the primary ingredient of calamine lotion) has such a long-lasting effect, you might only need one or two applications before all traces of mosquito saliva have been dealt with by your immune system. It’s also a great treatment for acne, so if you’re a teenager with mosquito bites, this one’s for you! Menthol: Soothes the area of the bite. You might have come across mosquito bite itch relief therapies such as toothpaste or Listerine mouthwash. In fact, Listerine’s so popular, I wrote a blog article about it. One of the active ingredients in these products is mint. And one of the main ingredients in mint is menthol. Menthol acts on the nerves in the skin that respond to cold. It makes us feel cold, even if it is warm. That’s why, when you add a bath oil which contains menthol to your bath, the water – however hot – also feels, well … kind of cold. Thanks to the cooling action of menthol, a hot, swollen mosquito bite doesn’t feel so hot and swollen anymore. However, histamine is still being produced. So the itch will come back once the menthol has broken down. In short, you are tricking your brain into thinking there’s less of a problem than there actually is. But if it works to cure that itch, why not?! High dose vitamin C: Use chemicals which stop the histamine reaction. High amounts of vitamin C in the human body can act as antihistamines. If you take more than 2g a day, you are less likely to suffer from a mosquito-bite induced itch. As your body excretes excess vitamin C, there’s no harm in taking a cure over the worst mosquito months. This natural form of antihistamine blocks the histamine receptors, meaning less of a reaction and less of an itch. And vitamin C has plenty of other health benefits, too. Win – win! Oatmeal: Soothes the area of the bite, and might also use chemicals which stop the histamine reaction. Oats contain chemicals called avenanthramides which work as anti-inflammatories, but also prevent histamine signaling, as you’ll see if you read this 50 page report all about avenanthramides. In fact, these oaty chemicals can work just as well as hydrocortisone creams, relieving around 40% of the total itch. And what you don’t smear on your skin you can eat for breakfast! Aloe Vera: Soothes the area of the bite. This natural skin soother nearly always makes it onto the listings for mosquito bite itch relief. Aloe Vera is a great all-rounder when it comes to a cooling gel that doesn’t stain your clothes. OK, it won’t stop histamines from being produced, but this gel is probably one of the world’s best natural skin soothers. It also contains magnesium lactate which some health sites (but not scientific studies) say is a natural antihistamine. Whether this is true or not doesn’t seem to make it any less useful for itchy mosquito bites. But if you are allergic to latex, don’t use Aloe Vera! You probably have at least two or three of the above items in your home. While one of them will provide relief, using two will increase the effect, so feel free to experiment. If you are looking for more than 11 tips to help relieve that irritating itch, I’ve written another blog which lists 21 natural bite remedies. After you’ve implemented the info you find on my blogs, you’ll be ready for the most mosquito-infested times of the year, every year! The type of mosquito bite does not make a difference to the itch, although the larger the mosquito the more saliva is injected, and the more histamine is released. Frequent mosquito bites mean more itching. Histamine can be released over days, with multiple bites over multiple days having a cumulative effect. My website is packed full of tried and tested methods for stopping mosquitoes getting into your home or your yard, and shooing off the ones that have already gotten in. From yard sprays to houseplants, and from bed nets to mosquito lures, you’ll find plenty of ways to reduce the number of bites you get by reducing the total population of mosquitoes in your vicinity. That means you’ll get bitten much less frequently, if at all. And the less bites you get, the less histamine you produce. And the less histamine you produce, the fewer signals the brain gets to carry out that itch-scratch reflex. And if you use the bite remedies I recommend, even those few bites won’t cause you any grief. Itch and pain go hand in hand with mosquito bites. As we’ve already learned in this blog, the behaviors of the itch and pain receptors are linked, so there’s no surprise in that. But there’s good news. We don’t need to experience either the pain or the itch. Through prevention – by using these awesome repellents and lures – we can keep mosquitoes away. Then it’s easy to deal with the few that make it through! We can use antihistamines, hydrocortisone creams, heat, cold, in fact, any one of the 11 tips listed above, without being driven nuts by that frustrating itch. And by now we all know that the less the number of bites, the less the itch. So it makes sense to be bitten as little as possible! Mosquitoes have been with us for millions of years, and it’s unlikely we’ll be getting rid of them anytime soon. It’s crazy how such a tiny creature can cause so much irritation. And itching. Mosquitoes are probably one of the most studied insects on the planet thanks to their carrying a huge number of very serious diseases, but we are still no closer to eradicating them completely. Quite the opposite. Many species are learning to live indoors, or have become immune to the chemicals we used to use to kill them. Mosquitoes adapt to our daily rhythms to increase their chances of getting a good meal. And they can live through the winter in the right environment. In fact, if mosquitoes weren’t so damn irritating, they’d be absolutely incredible!